Peter Thomson is conducting a series of intensives for experienced students at Oasis in 2013. These intensives are aimed at the needs of experienced to advanced level students. They are not recommended for new or recent students to yoga or to the Iyengar method. Many of the students in the group are already teachers who have been studying with Peter for some years. All students are expected to be engaged in developing their own practice. 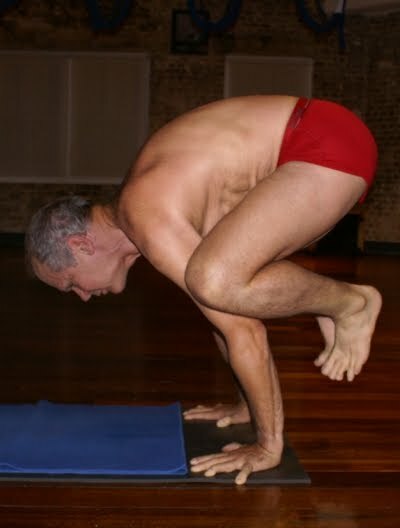 As a guide for example all students should be accomplished in headstand and shoulderstand (sirsasana/ sarvangasana) and should be able to hold for 5 minutes or more. Peter's particular approach is process or practice-based rather than prescriptive or conceptual and is built off the establishment of clear perceptual foundations that support our on-going yoga development. It demands therefore (and relies on) continuity of attendance and process. All participants in these intensives are expected to support this process through continuity in their attendance. Please fill in the registration form or call us at +65 64422881. Please make cheques payable to OASIS HOLISTIC and post it to us. Places are confirmed upon receipt of payment. Registration closes 3 December 2013.